Crime doesn’t pay, but it’s entertaining to watch. Today in our Under the Radar series, we’ll be putting the spotlight on some great hidden gems of the criminal kind. Playwright turned screenwriter/director Martin McDonagh’s debut full-length feature proves quite a number of things. For starters, Guy Richie has some stiff competition for being Tarantino’s British counterpart. 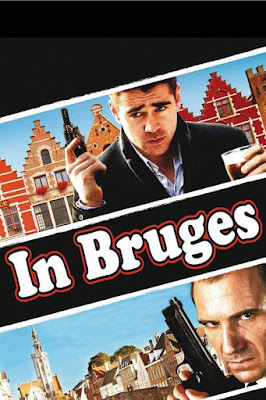 With an abundance of seemingly inconsequential, yet quick-witted dialogue, In Bruges’s equal combination of dark humor and tragedy makes this arguably one of the best crime films to hit the silver screen. Every actor cast in this production is fit to perfection, but no performance surpasses Colin Farrell. We’ve seen the potential of his range in glimpses throughout Farrell’s career, best displayed in 2002’s Phone Booth. Nothing rivals the depths showcased here. Farrell’s Ray can switch from being offensively comedic to mournfully suicidal to compassionate and heartfelt over the course of a singular scene. In Bruges’s expertly woven tale urges viewers to pay strictest attention as the film constantly steers clear from the conventions of Hollywood’s standards by adding depth, with philosophical undertones, rarely seen in modern cinema. Its focus on character only makes the tension raised in its thrilling chase scenes all the more impactful, and the film’s ending strikes on a most powerful note. In Bruges is the pinnacle of criminal misfortune, as it is a true masterpiece of filmmaking that is sadly under-viewed by the masses. In celebration of Sylvester Stallone’s bravura performance in this year’s Creed, it only seems fitting to call attention to some of his previous work that has since been forgotten. Stallone is recognized as one of the greatest action stars of all-time, and it’s a true rarity to see him step outside of that comfort zone. That very observation is precisely what makes his starring role in this crime thriller so fascinating. Ditching his athletic build with a 40-pound weight gain to sport a pudgier physique, “Sly” stars as Freddy Heflin, a belittled, half-deaf sheriff of Garrison, New Jersey. Due to a loophole in the legal system, the fictitious town is made up almost entirely of NYPD’s finest, letting them run their own streets without objection. All eyes turn to this town as controversy overtakes the media when a young NYPD cop, Babitch (Michael Rapaport), misguidedly kills two unarmed black men. As fellow officers investigate the crime scene, Babitch supposedly commits suicide by jumping off the bridge they’re on to escape the impending wrath. When his body can’t be recovered from the water, suspicion sends Internal Affairs Lieutenant Tilden (Robert De Niro) to Garrison. Tilden, who tries to recruit Heflin to his team, believes Babitch received help from his brothers in blue to fake his death and return to town. The task to provide evidence in such a case proves deadly though as fellow policemen Ray (Harvey Keitel), Frank (Arthur J. Nascarella), and Jack (Robert Patrick) become the prime suspects in the conspiracy. 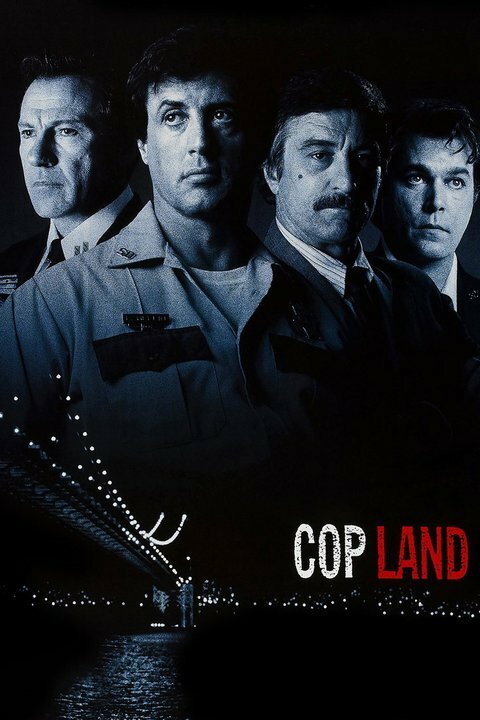 With additional players Ray Liotta, Janeane Garofalo, Cathy Moriarty, Noah Emmerich, and Peter Berg, the star power of Cop Land deserves praise in itself. The complexity of this crime drama sets it apart from others in the genre. The heart of the film centers on its characters versus the crime, focusing particularly on Freddy’s uphill struggle to prove his worth in a town that refuses to take him seriously. Stallone’s return to form that hasn’t be seen since his Rocky days makes for the most captivating aspects of Cop Land. His dedication to the role cannot go without recognition. Acting alongside so many Hollywood heavyweights would prove disastrous for a standard action star, but Stallone rises to the challenge and delivers one of his most poignant roles to date. What seemed to make Cop Land fall into relative obscurity after initial release is most likely the abundance of serviceable crime capers that flooded the whole of the ’90s. The fact remains that Cop Land is one of the strongest of its genre for its character-driven drama that takes precedence over high-octane action.